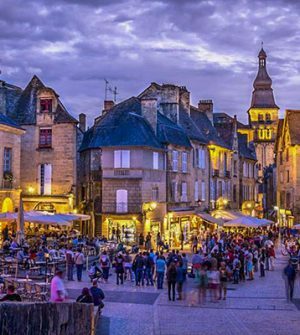 La Sagne campsite is located in the town of Vitrac , 8 km away from Sarlat. It is made up 3 villages: Vitrac Bourg, Vitrac Port, and Montfort. 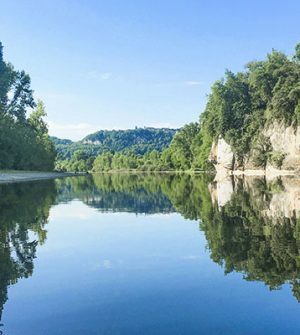 Spend time on the beach in Pont de Vitrac, swimming, canoeing, or fishing. Vitrac is a charming town. You can visit its medieval castle , now in ruins, as well as the small church that dates back to the 12th century. Montfort, located between Vitrac and Carsac, is famous for its castle perched on a rock, dominating the Dordogne. Take time to admire the beautiful landscape at the Montfort meandre!